This is the 4th of six reviews I’m doing for FPN member Alecgold. 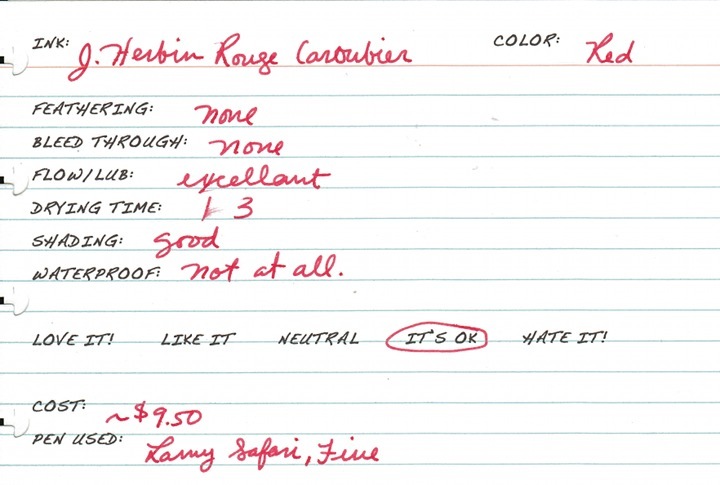 Up today is JH Rouge Caroubier. I don’t really have much to say about this one. It is just red. 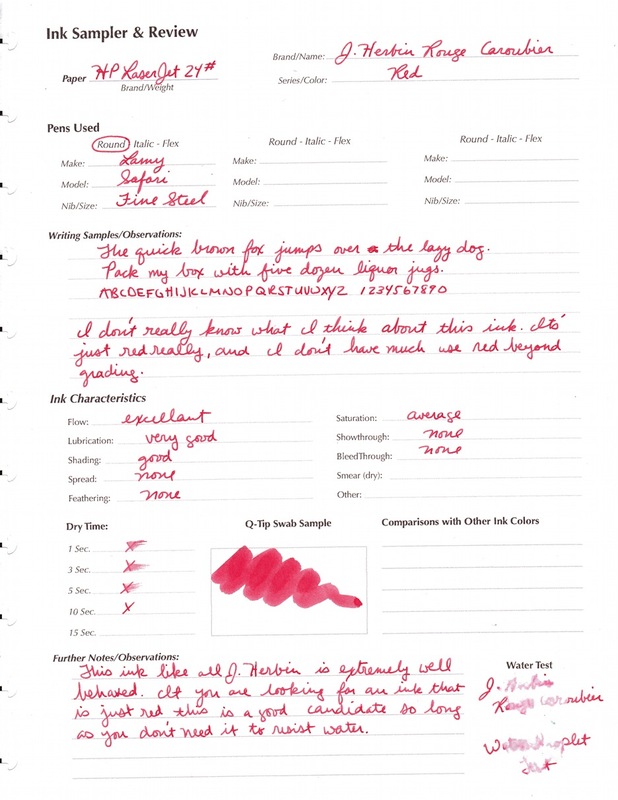 If you are in the market for a standard “true” red with is extremely well behave (although not water-resistant), then this is your ink. Not even remotely water resistant. Alec review 4/6. No affil.